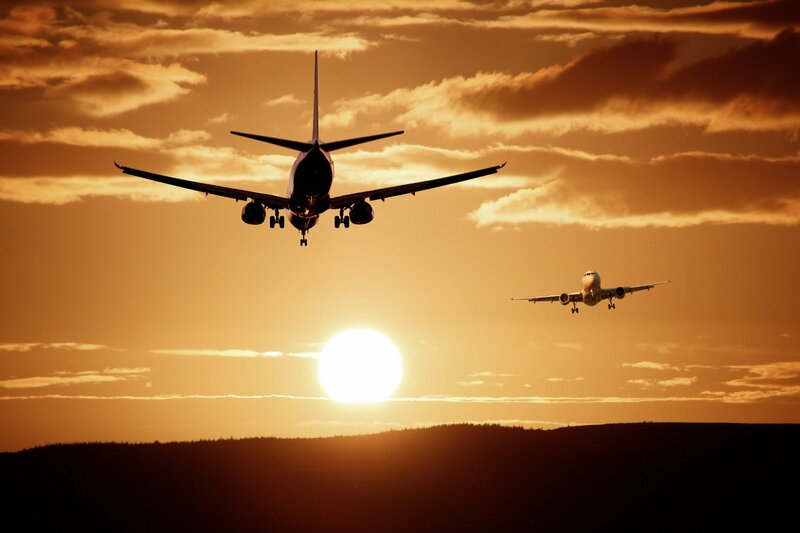 A fear of flying is very common, with as many as 25% of people afraid to fly. So it’s nothing to be ashamed of. Here’s how to combat it. A fear of flying is actually very common, and it’s nothing to be ashamed of. In fact, according to statistics made available by dedicated website FlyFright, 18.1% of Americans are anxious to fly, with a further 12.6% afraid to fly altogether. Other statistics for other countries point to up to 25% of people being afraid to fly. A fear of flying is rather irrational. Although it is odd that modern technology has progressed to the point that we can soar through the skies in metal tubes, doing so is the safest form of transport. According to a recent study by Betway Insider, your odds of being in a plane crash are one in a million, although, among commercial airlines, the likelihood is even less common. Thousands of flights take off around the world each and every day, and most of these are entirely without issue. We only hear of disasters because they are so rare – unlike car crashes, which happen multiple times, each and every day. Indeed, according to the Insurance Information Institute, your odds of dying in a motor vehicle accident are as low as 1 in 114, the second most likely cause of death by accidental injury. If you have a fear, but you need to fly, there are many ways you can overcome your anxieties. For some, arming themselves with the facts can help them rationalise and reassure themselves. However, if that simply won’t do, there are many technological advances that make managing your fears alone incredibly easy. A lot of people who don’t want to fly say that the reason is that they are scared of all of the different noises that they hear in flight. However, there’s no need to panic – all of these noises have a reasonable explanation, and they point to the plane working as it should do. 3.77 billion people flew in 2015; if each of these people ran into issues every time they heard a noise, we’d have some serious issues – but we don’t! However, a lot of people just don’t want to deal with them altogether, which is why noise-cancelling headphones work really nicely. After all, nobody wants to exhaust themselves by turning every little thing into a disaster, so the solution is to just block it all out. Online reviews point to some, such as the Sennheiser HD4.50 BTNC, being better than others; pointing to factors like travel-friendliness in deciding which ones to choose. Thanks to the download feature introduced by the streaming giants, Netflix, back in 2016, you can now take some of your favourite shows and movies with you, wherever it is that you’re going. According to Statista, 50% of the consumer market has an account, so now it’s time to put that to use. It is thought that distraction could play a supporting role in overcoming flight anxieties, and so this seems more than a suitable solution. If the in-flight entertainment system is lacking (or worse, entirely absent), you can turn to your own devices, quite literally. Laptops can be rather bulky for non-business travellers to deal with, and so phones provide suitable alternatives – with the Google Pixel being the most recommended for long-haul flights. For some, ignorance is not bliss, and so they’d rather be fully informed about everything there is to know about their flight and its realities. With over 80% of the UK population now using smartphones, apps can be the key to a number of daily real-life situations. Downloading the SOAR app for either Android or iPhones – for free – means you’ll be knowledgeable in a way that may be comforting to some. Passengers can be seated with details and facts in advance about taking off and landing procedures, turbulence and why it happens, in addition to more in-depth figures about planes and their maintenance and safety rules. You can download videos, and even see ‘proof’ that your plane is scientifically proven to be safe enough to get you from A to B. Turbcast is yet another useful app for staying afloat. Its purpose is to predict air conditions and anticipate how the weather may affect turbulence on your journey, so that you can mentally prepare yourself to be aware that this is quite natural. However, this app is only available on iOS. Of course, one thing that you really don’t want to do is to feel entirely prepared – and then lose your support system, because you forgot to charge your devices. Having a portable charging system is essential, especially when your anxiety is prone to making you forgetful. Although the IOGEAR 12,000mAh is on the larger and more expensive side, you won’t need a backup for your backup, as it’ll keep you in power for days. You can pick one up from Amazon, to ensure that you’ve got everything you need to keep you confident on the go. Technology is useful, but so are old-fashioned methods, too. Dealing with a doctor or even a hypnotherapist can help, and can curb the root of your fears before over-reliance on apps or devices. Whether being informed of distracted works best for you, don’t let your fear stop you from seeing the world.